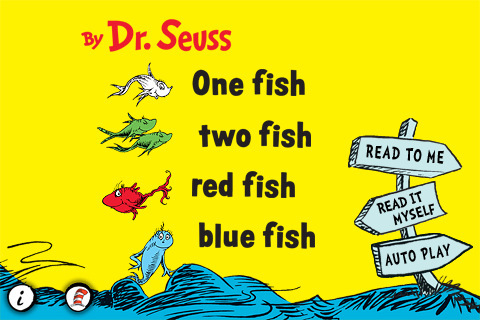 Developer Quote: "Through his rhymes and riddles, Seuss's intention is clear: teach children to read in a way that is both entertaining and educational." Just because you're grown up doesn't mean you still can't enjoy classic childhood stories by yourself or with your kids! 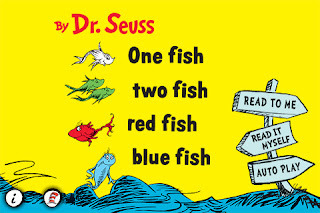 Dr. Seuss stories were some of my favorites, and even though they didn't make a whole lot of sense, the lyrical cadence of the words was very soothing and made learning to read just a little bit easier! The pictures were a little old-fashioned, a bit nonsensical, but thoroughly enjoyable to a child learning to appreciate print on paper. Now, Dr. Seuss's wonderful stories, riddles and rhymes are available on your iPhone, iPod Touch and iPad in more vivid color and larger than life than ever before! One Fish Two Fish Red Fish Blue Fish-Dr. Seuss is a well-loved tale that teaches your child to recognize words, letters and sounds while being thoroughly entertained. This electronic version of Dr. Seuss's book is even more intriguing than a traditional paper book because of the many features included. For instance, this book provides professional narration, background audio and enlarged artwork for each scene. To make it easy to know what word is being read in the narration, each one is highlighted as the story unfolds and, even better, the words zoom up when the pictures are tapped! - "Auto Play" — plays like a movie, automatically reading and turning pages. The name identifier showing what each item is when tapped is a great way for kids to mentally connect the letters they see to words they hear spoken every day. The graphics from Dr. Seuss's story are beautifully done and the cheerful music in the background paints a happy seaside tale. 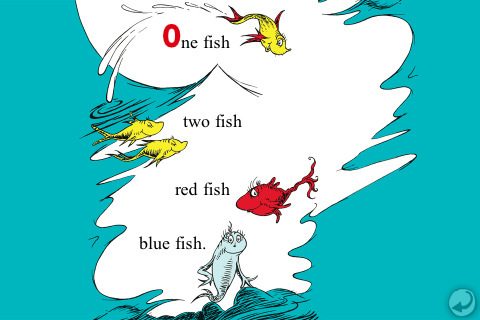 COOL CONCLUSION: "One Fish Two Fish Red Fish Blue Fish-Dr. Seuss is entertainment at its finest because classic, rhyming stories are still the best type of education."